Sir John Bowring, KCB (Chinese translated name: 寶寧,寶靈 or 包令) (17 October 1792 – 23 November 1872) was an English political economist, traveller, writer, literary translator, polyglot, and the 4th Governor of Hong Kong. Bowring was born in Exeter of Charles Bowring (1769–1856), a wool merchant from an old Unitarian family, and Sarah Jane Anne (d. 1828), the daughter of Thomas Lane, vicar of St Ives, Cornwall. His last formal education was a Unitarian school in Moretonhampstead and he started work in his father's business at age 13. Bowring at one stage wished to become a minister. In early life he came under the influence of Jeremy Bentham, and later became his friend. He did not, however, share Bentham's contempt for belles lettres. He was a diligent student of literature and foreign languages, especially those of Eastern Europe. Bowring ranked with Giuseppe Caspar Mezzofanti and Hans Conon von der Gabelentz among the world's greatest hyperpolyglots – his talent enabling him at last to say that he knew 200 languages, and could speak 100. His chief literary work was the translation of the folk-songs of most European nations, although he also wrote original poems and hymns, as well as works on political and economic subjects. The first fruits of his study of foreign literature appeared in Specimens of the Russian Poets (1821–1823). These were followed by Batavian Anthology (1824), Ancient Poetry and Romances of Spain (1824), Specimens of the Polish Poets, and Serbian Popular Poetry, both in 1827, and Poetry of the Magyars (1830). During this period he began to contribute to the newly founded Westminster Review, of which he was appointed editor in 1825. By his contributions to the Review he obtained considerable reputation as political economist and parliamentary reformer. He advocated in its pages the cause of free trade long before it was popularized by Richard Cobden and John Bright. He pleaded earnestly on behalf of parliamentary reform, Catholic emancipation, and popular education. In 1828 he visited the Netherlands, and in February 1829 the University of Groningen conferred on him the degree of doctor of laws. In the following year he was in Denmark, preparing for the publication of a collection of Scandinavian poetry. Till 1832 he was Foreign Secretary of the British and Foreign Unitarian Association. Bentham tried to have Bowring appointed professor of English or History at University College London during the institution's nascent years; but neither of them had much influence with the new university. Bowring was appointed Jeremy Bentham's literary executor, and was charged with the task of preparing a collected edition of his works. This appeared in eleven volumes in 1843. In 1835, Bowring entered parliament as member for Kilmarnock Burghs; and in the following year he was appointed head of a government commission to be sent to France to inquire into the actual state of commerce between the two countries. He was engaged in similar investigations in Switzerland, Italy, Syria and some of the states in Imperial Germany. The results of these missions appeared in a series of reports laid before the House of Commons. After a retirement of four years he sat in parliament from 1841 until 1849 as member for Bolton. During this busy period he found leisure for literature, and published in 1843 a translation of the Manuscript of the Queen's Court, a collection of Czech medieval poetry, later considered as falses by Czech poet Václav Hanka. In 1846 he became President of the Mazzinian People's International League. Without inherited wealth, or salary as MP for Bolton, Bowring sought to sustain his political career by investing heavily in the south Wales iron industry during the mid-1840s. He led a small group of wealthy London merchants and bankers as Chairman of the Llynvi Iron Company and established a large integrated ironworks at Maesteg in Glamorgan during 1845–6. He installed his brother, Charles, as Resident Director and lost no time in naming the district around his ironworks, Bowrington. Although he lost his capital in the trade depression of the late 1840s, John Bowring had gained a reputation in the Maesteg district as an enlightened employer. A contemporary commented that 'he gave the poor their rights and carried away their blessing'. 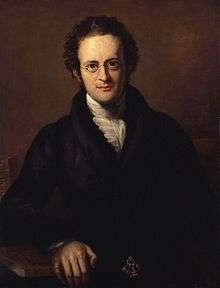 The failure of his venture in south Wales led directly to Bowring’s acceptance of Palmerston's offer of the consulship at Canton. In 1845 he became Chairman of the London and Blackwall Railway, the world's first steam-powered urban passenger railway and the precursor of the whole London Rail system. In 1849, Bowring was appointed British consul at Canton (today's Guangzhou), and superintendent of trade in China, a post which he held for four years. Both before the Cantonese appointment, and after his return, Bowring distinguished himself as an advocate of decimal currency. On 27 April 1847 he addressed the House of Commons on the merits of decimalisation. He agreed to a compromise that directly led to the issue of the florin (one-tenth of a pound sterling), introduced as a first step in 1848 and more generally in 1849. He published a work entitled The Decimal System in Numbers, Coins and Accounts in 1854. On 13 April 1854, Bowring was sent to Hong Kong as governor. During his governorship, a dispute broke out with the Chinese and the irritation caused by his "spirited" or high-handed policy led to the Second Opium War (1856–1860). At the same time, he allowed the Chinese citizens in Hong Kong to serve as jurors in trials and become lawyers. Bowring is also credited with establishing Hong Kong's first commercial public water supply system. He developed the eastern Wan Chai at a river mouth near Happy Valley and Victoria Harbour by elongating the river as a canal, and the area was named Bowring City (Bowrington). By instituting the Hong Kong buildings ordinance, Bowring ensured the safer design of all future construction projects in the colony. In 1855 he visited Siam and negotiated with King Mongkut a treaty of commerce, now commonly referred as the Bowring Treaty. Bowring retired in March 1859 and received a pension for his duties. His last employment by the British government was as a commissioner to Italy in 1861, to report on British commercial relations with the new kingdom. Bowring subsequently accepted the appointment of minister plenipotentiary and envoy extraordinary from the Hawaiian government to the courts of Europe, and in this capacity negotiated treaties with Belgium, the Netherlands, Italy, Spain and Switzerland. Bowring married twice. By his first wife, Maria (1793/4–1858), whom he married in 1818 after moving to London, he had five sons and four daughters (Maria, John, Frederick, Lewin, Edgar, Charles, Edith, Emily, and Gertrude). She died of arsenic poisoning in 1858. His eldest son, John Charles Bowring, presented Bowring's collection of coleoptera to the British Museum after his death. His fourth son, Edgar Alfred Bowring, was a Member of Parliament for Exeter from 1868 to 1874. E.A. Bowring is also known as an able translator in the literary circles of the time. Lewin Bentham Bowring was a member of the Bengal Civil Service, private secretary in India to Lord Canning and Lord Elgin, and commissioner of Mysore. His daughter, Emily, became a Roman Catholic nun, Sister Emily Aloysia Bowring. She was the first headmistress of the Italian Convent School (now known as the Sacred Heart Canossian College) in Hong Kong, serving from 1860 to 1870. Bowring married his second wife, Deborah Castle (1816-1903), in 1860: they had no children. Deborah Bowring was a prominent Unitarian Christian and supporter of the women's suffrage movement. He is also remembered as a writer of hymns including "God is love : his mercy brightens", "In the Cross of Christ I glory", and "Watchman, tell us of the night". He is the great-great grandfather of actress Susannah York. John Bowring died on 23 November 1872, aged 80. Elected a member of the American Antiquarian Society in 1834. In the mid-19th century a district of the Llynfi Valley, Glamorgan, south Wales was known as Bowrington as it was built-up when John Bowring was chairman of the local iron company. Bowring's ironworks community later became part of the Maesteg Urban District. The name was revived in the 1980s when a shopping development in Maesteg was called the Bowrington Arcade. Bowring Praya West and Bowring Praya Central were two roads built on reclaimed land during his tenure, but were respectively renamed Des Voeux Road West and Des Voeux Road Central in 1890 after the Praya Reclamation Scheme. Bowrington, or Bowring City, was an area Bowring had built around the estuary of the Wong Nai Chung river, and is the site of the Bowrington Market. He built an extension named the Bowrington Canal, over which the Bowrington Road (now called Canal Road) and the Bowrington Bridge passed. Bowring Street in the district of Jordan, Hong Kong. Hymns (Privately published, 1825) This includes the hymns In the cross of Christ I Glory, and Watchman, Tell Us of the Night, both still used in many churches. 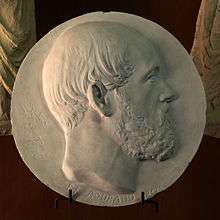 The American composer Charles Ives used part of Watchman, Tell Us of the Night in the opening movement of his Fourth Symphony. Translations from Alexander Petőfi (1866). 1 2 3 4 5 6 7 One or more of the preceding sentences incorporates text from a publication now in the public domain: Chisholm, Hugh, ed. (1911). "Bowring, Sir John". Encyclopædia Britannica (11th ed.). Cambridge University Press. ↑ MPs in the UK Parliament received no salary until early in the following century. ↑ "ENGLISH NEWS, Parliamentary Intelligence". The Australian (Sydney, NSW : 1824 - 1848). Sydney, NSW: National Library of Australia. 3 September 1847. p. 3. Retrieved 13 October 2013. ↑ "The Florin". Royal Mint Museum. Royal Mint, Llantrisant, Wales. Retrieved 13 October 2013. ↑ "Sir John Bowring". The Times. 25 Nov 1872. p. 12. ↑ "John Bowring". Hymnary.org. Retrieved 12 June 2016. Bartle, G.F. (1963). "Jeremy Bentham and John Bowring: a study of the relationship between Bentham and the editor of his Collected Works". Bulletin of the Institute of Historical Research. 36: 27–35. doi:10.1111/j.1468-2281.1963.tb00620.x. Bartle, George Frederick (1994). An old radical and his brood: a portrait of Sir John Bowring and his family based mainly on the correspondence of Bowring and his son, Frederick Bowring. London: Janus. Bowring, Philip (2011). "Sir John Bowring: the imperial role of a lifelong radical". Asian Affairs. 42: 419–29. doi:10.1080/03068374.2011.605604. Endacott, G. B. (2005) . A biographical sketch-book of early Hong Kong. Hong Kong University Press. pp. 36–44. ISBN 978-962-209-742-1. Todd, David (2008). "John Bowring and the global dissemination of free trade". Historical Journal. 51: 373–97. doi:10.1017/s0018246x08006754. Youings, Joyce Alice, ed. (1993). Sir John Bowring, 1792-1872: aspects of his life and career. Plymouth: Devonshire Association. Wikimedia Commons has media related to John Bowring. Ringmar, Erik (2013). Liberal Barbarism: The European Destruction of the Palace of the Emperor of China (PDF). New York: Palgrave Macmillan.